Near Celestún on the west coast of the Yucatán peninsula is Ría Celestún a shallow fresh/salt water estuary which is one of only two breeding grounds for flamingos in North America. The other is Ría Lagartos on the northern part of the peninsula. 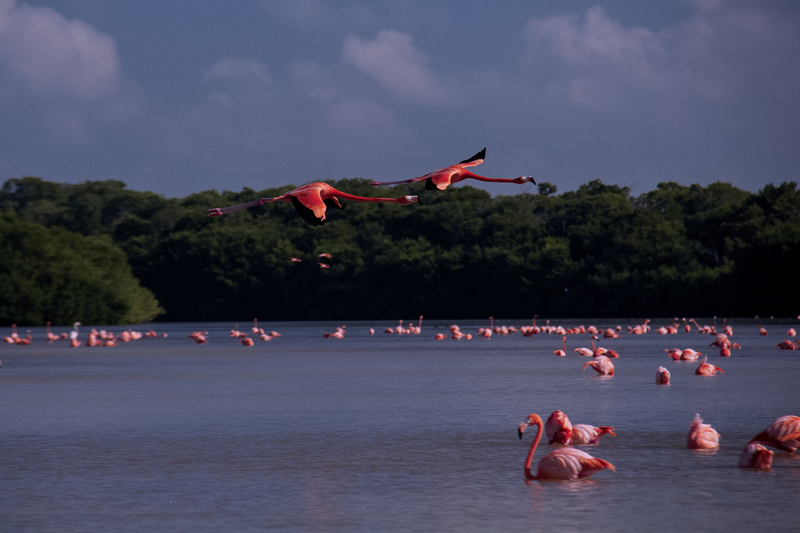 In December and January thousands of the pink birds come to Celestún to nest, breed and gorge themselves on shrimp, which gives them their beautiful pink color. 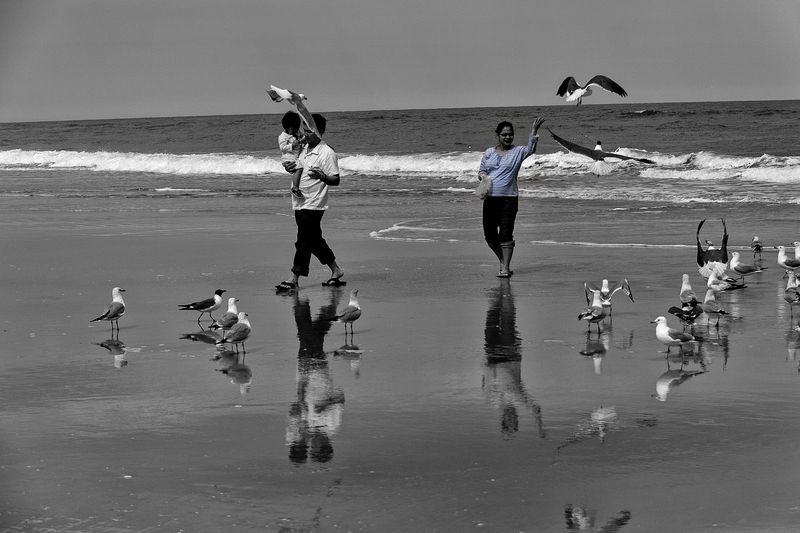 While an occasional bird can be seen near the shore along the roadway leading into town, most are further up the estuary. We hired a guide and a boat to take us out to the breeding grounds in the early morning. These are some of the birds that we saw. I was doing a raptor watch in Orange County, New York with a group from the Audubon Society. Thought I might get some good shots of eagles or various kinds of hawks. We saw a golden eagle and a bald eagle, and a few varieties of hawks, but they were out of range of my camera. At one location there was a flock of Canadian Geese on a small lake. 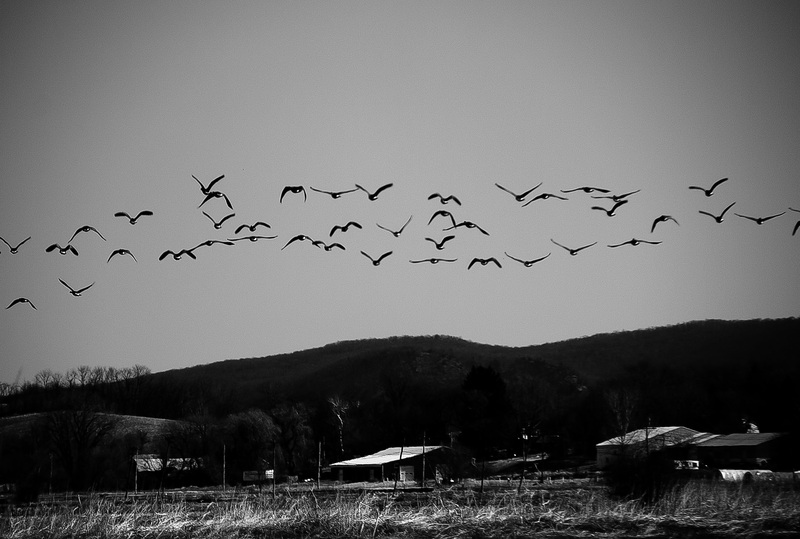 I got this shot as they took off over the Shawangunk (pronounced Shawn’gum by the locals) mountains, which are really just foothills of the Appalachian chain, and went where the wild goose goes .